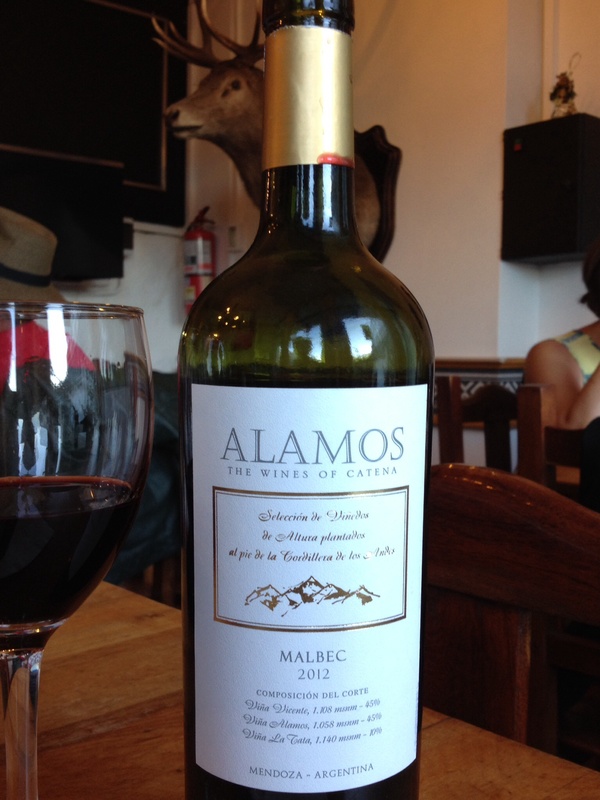 Another Malbec, a wine synonymous with Argentina. Our final week has been a little slower than the previous few. It’s hard work all this travelling! We made our way, slowly due to flight delays, back to Bariloche. We needed to do laundry to get us through the next week, so off we went to the lavanderia. Smelling fresh and clean, we hopped a bus to Chile, headed for the Pacific coast. On a recommendation we decided to visit Valdivia, a small city at the confluence of three rivers. It was a few days before Christmas and the Mercado Central was pulsing with life. Vegetables, fruits (especially seasonal blueberries and raspberries) plus fish, featured prominently. 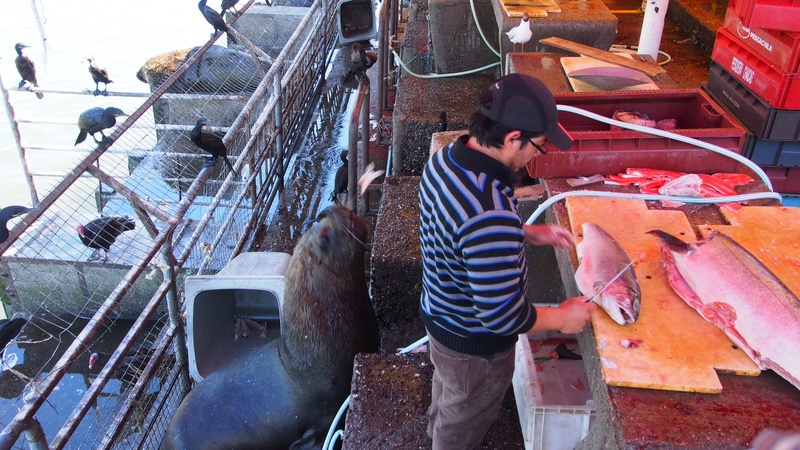 The market is right on the riverbank and the seals that have made the area home were cheekily waiting for off cuts of fish that the vendors were chucking out to them. 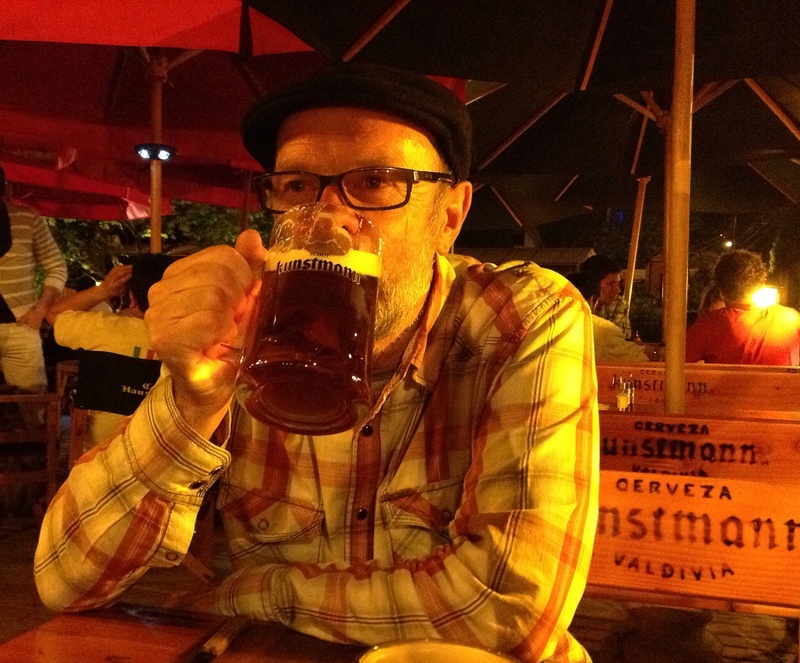 The German heritage of the town is clearly displayed with every other cafe having outdoor seating provided by the local brewer Kunstmann, whose brand is burned into the seats. Christmas Eve we took a bus 2 hours to Villarrica which is on a lake of the same name and with a view to a volcano with the same name as well. We booked a hotel opposite the lake with a pool as we figured everyone would be in shutdown over Christmas and we could relax a bit. I got to swim a few times and Andrew was happy watching the light change the colours of the volcano. On or last day in Villarrica we took the local bus to Pucón which is on the other side of Lago Villarrica and sits right at the bottom of the volcano. The beaches have black sand and there was some creative use of lava rock in people’s landscaping. 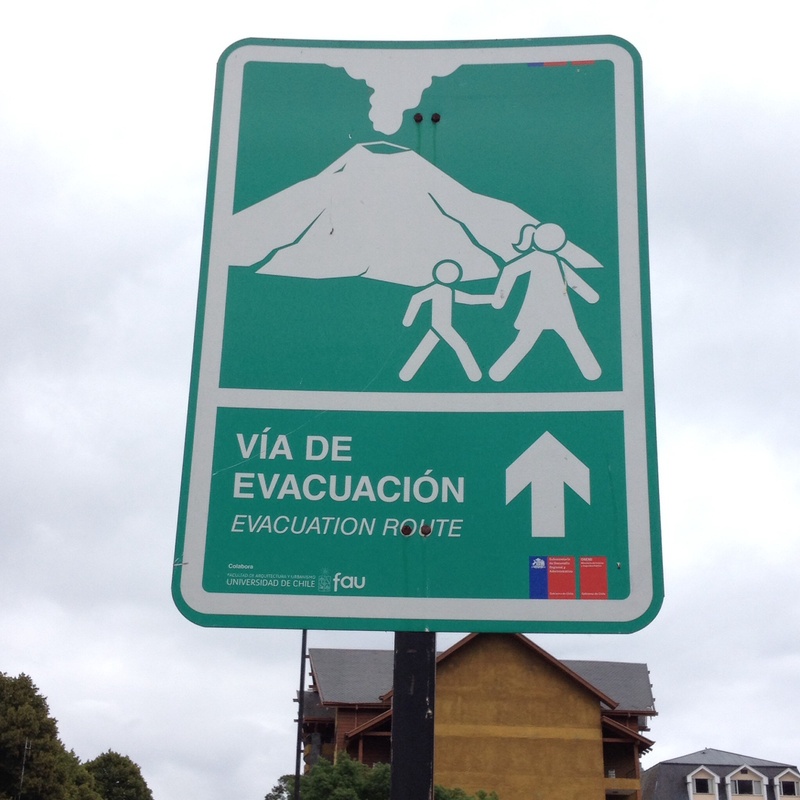 The view of the volcano was obscured due to cloud but the town has evacuation route signs in case you forget it’s there. Back in Santiago, we revisited the atmospheric fish market and the Plaza de Armas. It’s been an interesting 5+ weeks and we have seen some truly spectacular sights. I like to think I will come back to South America. I’m understanding and speaking more Spanish each day and it feels good. We saw most of the things we wanted to see this time around and more. Reconnecting with my friend Tuti and meeting her family in La Cumbre, Argentina was a highlight. Tonight we fly out of Santiago. I’ll have a very busy few weeks when we get back as I am doing an intensive training course then heading back to work. So I may be quiet on the interwebs until mid-January. Thanks for following and liking and commenting. I’ll share a few more photos below.